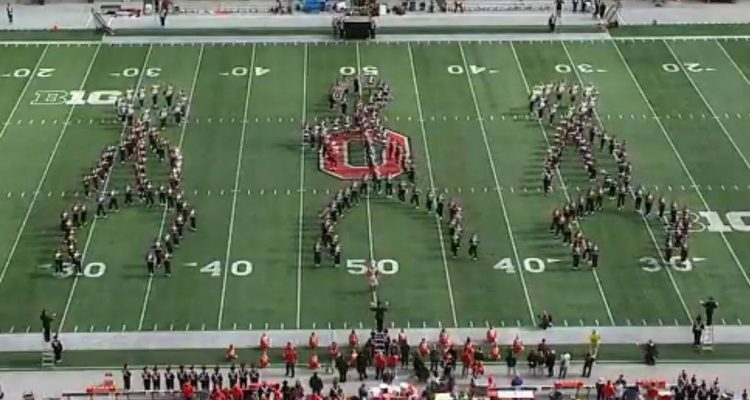 During Saturday’s halftime show on Saturday during which time they played songs from Walk The Moon, Michael Jackson, Justin Timberlake and more, the Ohio State marching band appeared to “Floss” in formation. While playing the song, “Shut Up and Dance,” the band formed three stick figures that began to do the Floss in unison. During the impressive display, the figures moved their arms back and forth to the rhythm, dazzling the crowd. The dance craze started thanks to the “Backpack Kid” who was featured on Saturday Night Live before it went viral via the popular video game Fortnite. Give the halftime performance a watch below.